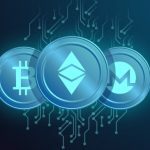 If you are looking for a list with the best cryptocurrency wallets, then you’ve landed on the right page. Cryptocurrency, as we all know, has become a global phenomenon as it is believed that it provides safe financial transactions and is counted among the digital assets that the world needs today. This works through the blockchain technology which is responsible for keeping a database of all the transactions that are being made. In case you are planning to buy bitcoin, one of the key steps that you would need to consider is to find a wallet in which you can store your currency. There is certainly a shortage of wallets that support bitcoin, however, a few of them that are available today come with advanced features and high-level security. When you are choosing one for yourself, you need to be aware of factors such as its interface, usability, functionality, security and backup features in order to ensure that you are choosing the right wallet for managing your finances. It is one of the safest places to store cryptocurrency and is a kind of hardware wallet that you can find around. This wallet looks like a slick USB device which can reduce the possibility of cybersecurity risk and is absolutely easy to use. To setup Nano S, you would be required to insert a four-digit PIN through which payments can be made. Moreover, in case there are more than three incorrect PIN guesses, the wallet would automatically swipe away all the information. It comes with a built-in OLED display that can be used to confirm the transactions. It is one of the oldest hardware wallets that were made for storing bitcoin and became popular among the cryptocurrency enthusiasts. In case you are looking to store a large amount of cryptocurrency, then this wallet would certainly be useful for you. It is a small device which connects to your computer through a USB cable. It comes with its sets of private keys which can be backed up using a twenty-four-word password that gets available on setup. It also comes with additional security features with a screen that allows you to check the transactions. It can support different types of cryptocurrencies along with tokens and coins. But if you want to store bitcoin on this wallet, you would need to pay from your pocket. This is another hardware device that is used in the form of a USB device. It provides great security and is easy to manage so that even the beginners do not find it hard to have access to it. This wallet allows you to make and store any number of private keys and also comes with an OLED display along with the transaction confirmation button. It can be integrated with the desktop software which makes it easy for you to handle private key generation and manage the transactions. This device works well on Mac, Windows and Linux operating systems and can be used to keep different types of cryptocurrencies. As it is new, it is certainly not that popular like the other wallet options that you would find. Also, you would need to think a lot before investing into it as the cost of purchasing it is slightly heavy on the pocket. Exodus can support cryptocurrencies such as Litecoin, Bitcoin Cash, Ethereum, Dash, along with several others and provides an insight into what more can be added over the course of time. This wallet makes it possible for you to exchange assets but for that, you might need to pay extra funds from your wallet. The customer support services at Exodus are excellent as they give fast responses. The only drawback with this wallet is that there is a lack of support when it comes to authentication and the security levels are also not high. Electrum is one of the best cryptocurrency wallets and can be downloaded for Linux, OSX, and Windows along with the app. This app provides great safety and reliability which is why it is highly popular. The key that is provided with the Electrum Wallet is encrypted and never leaves the computer. Moreover, you can even set up the authentication of your account. The app that is offered by Electrum offers a fast and lightweight desktop app and can be designed in a manner that it can manage the BTC holdings. The disadvantage with this app is that you cannot use this wallet to hold different varieties of cryptocoins and the interface and prove to be a little confusing for the people who are using it for the very first time. This is one of the most well-known wallet service providers and combines the features of strict security and user-friendly features. You can easily secure transactions with more than one signature. This wallet can be accessed through desktop, mobile, and even web interface and can be downloaded on the popular operating systems such as Linux, Mac, and Windows. It can prove to be a little trick for the beginners and does not support a wide cryptocurrency portfolio. Armory highly lays emphasis on extreme security and offers great flexibility. It is highly functional and comes with cold storage capability along with multisign features. In addition to that, the user has complete control over the storage and creation of private keys. It can be used for free and can be run on different operating systems. It only supports bitcoin and can prove to be a bit challenging for those who are beginners. This wallet is ideal for the bitcoin users and is a web-based wallet which can be used over Android, iOS and Android platforms. It is fast to use and easy to operate which makes it ideal for the beginners. You can secure your account by verifying the email, linking up the mobile number, and blocking requests. They are not as secure as expected and it would be better if you choose to store the cryptocurrency offline. It is one of the most popular web wallets which can store cryptocurrencies such as Bitcoin Cash, Litecoin, and Ethereum. It is easy to use and extremely convenient for the beginners. It also provides offline storage, multi-sign functionality along with time-delayed withdrawals. Moreover, you have full control over the private keys. It is advised that you do not store large amounts of cryptocurrencies and instead use an offline method to do so. It is another popular option that offers great security and privacy. They come with several security features such as multi-sign feature which makes it easy for the clients to access the account easily. It does not store the private keys of the users even when they are encrypted. Moreover, you might claim third-party approval before you happen to make payments. It is a mobile wallet which can be used for Android and iOS devices. It can be freely downloaded and comes with an easy-to-use interface. It has a straightforward setup process which makes it easier for the beginners to have easy access to it. Several other security features that come with this app include a restore and backup facility along with ID protection. However, it does not offer advanced security features which is one of its drawbacks. This mobile wallet is available for both Android and iOS devices and offers easy-to-use interface which is ideal for the beginners. In addition to that, it comes with two-factor authentication features. It can be used for scanning QR codes and offering easy fund transfers. It is only compatible with bitcoin and Bitcoin Cash. This mobile wallet offers an open-source program and comes with a wide range of features which make it highly popular among the bitcoin holders. As it has several advanced features when it comes to security, it proves great for backups and offers multi-sign functionality. It can only be accessed via a smartphone. It is consistently being developed as it is open-source which is why it has a lot of scope of adding new features and increasing security levels for safe transactions. Jaxx is one of the most popular bitcoin wallets which can store currencies such as Ethereum tokens, Bitcoin Cash and around fifty other cryptocurrencies. Its interface is interactive and easy to understand which makes it ideal for the beginners to use this application. Its interface is one of the key features that have made it a prominent application. You can also store private keys on your smartphone and do not need to insert your personal details to access it. This is a mobile wallet offered by Blockchain.com. It can store cryptocurrencies such as Ethereum and Bitcoin. It is available for both Android and iOS devices as you can easily manage your funds for flexibility. This wallet does not have access to your private keys and is easy to use. Moreover, it supports a wide range of cryptocurrencies. On a final note, cryptocurrency wallets need to be managed carefully and should be chosen only after considering all the factors that you are looking for in an ideal mobile or desktop wallet.